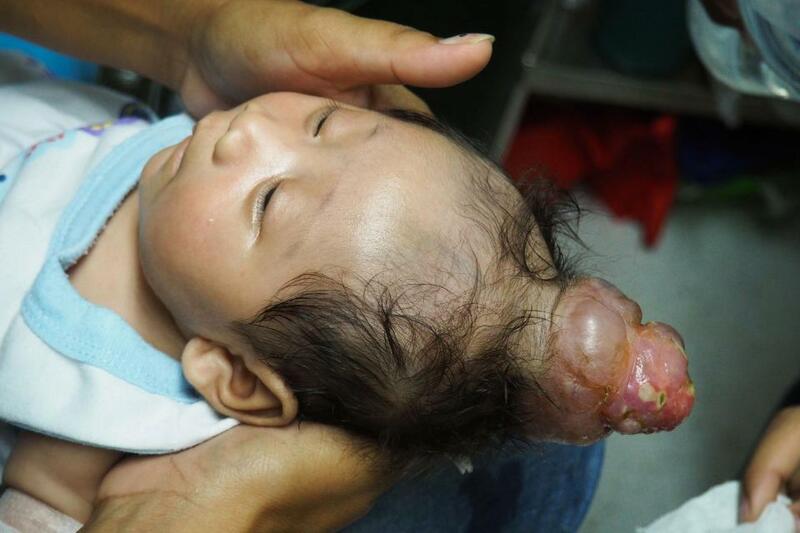 Doctors were shocked to discover a “horn” growing out of a little boys head when he was born. 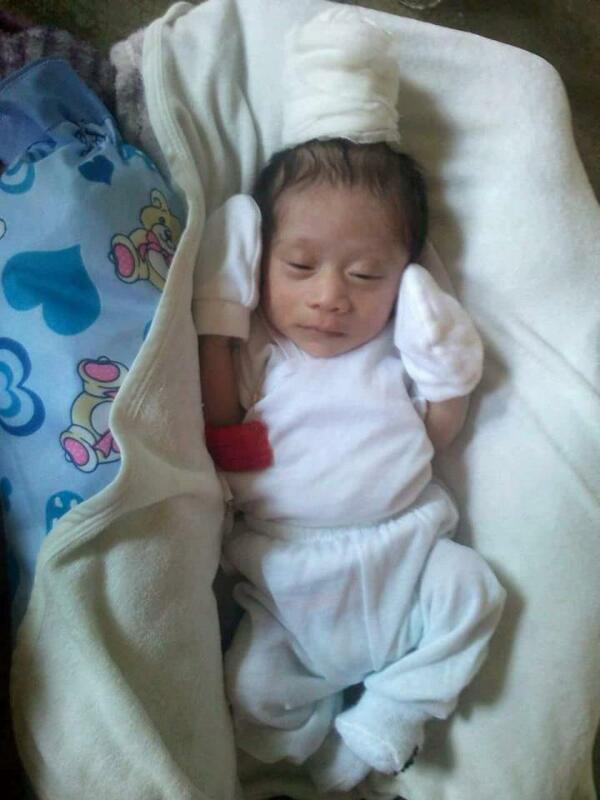 Seven-week-old Nhel Jhon Prado was born in January with a rare birth defect which caused an egg-sized swelling to protrude from his head. Medics diagnosed him with encephalocele, which had gone undetected during his mum’s regular check-ups. Parents Angel Puerto, 20, and Ronel Prado, 20, took Nhel back to their home in Manila, Philippines, but he needs round-the-clock care including redressing the tender lump which has continued to grow. 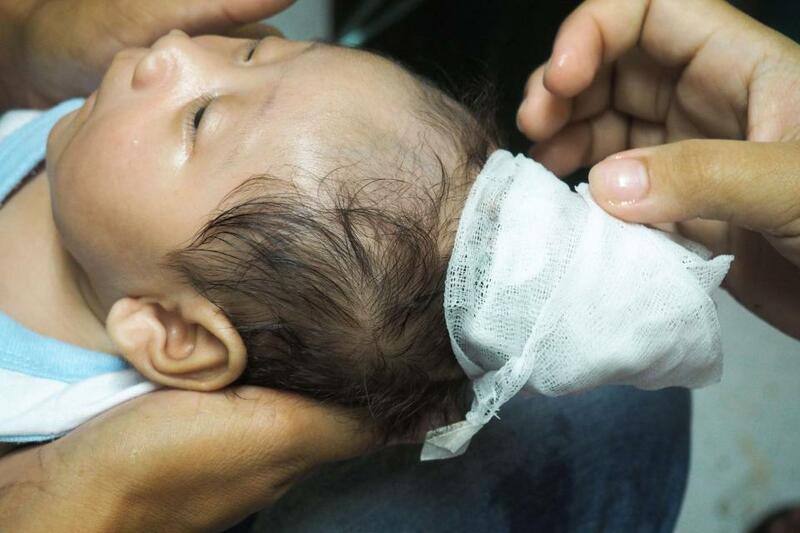 The family are now waiting for a life-saving operation to remove the birth defect but they cannot afford the cost of the surgery at Pasig General Hospital. “The doctors used ultrasound tests but didn't notice anything wrong with Nhel while I was pregnant,” Angel said. “When he was born they said that my baby is lucky that the brain was not affected or damaged by the lumps. 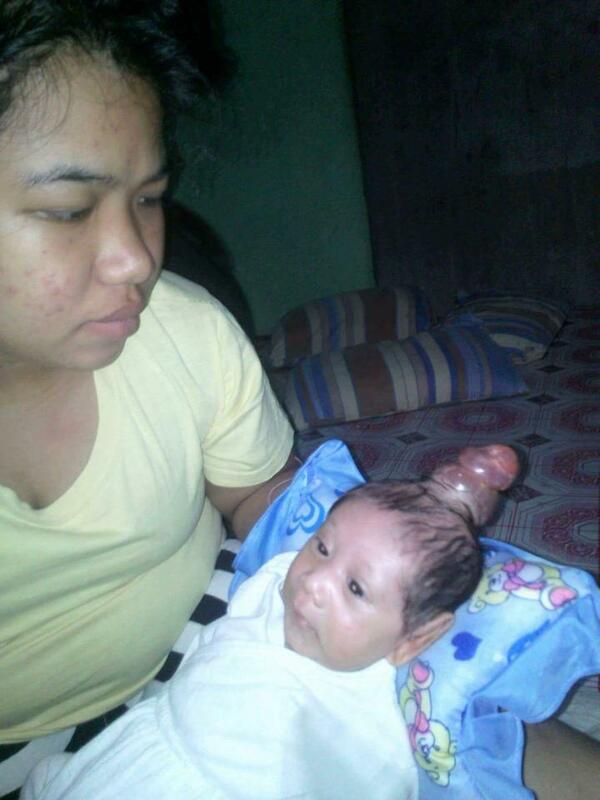 “We have never seen a baby like this before, so we try to look at it like a blessing. Like he is a special little unicorn baby. Encephalocele is a rare birth defect in which the neural tube that affects the development of the brain pushes through the skull. The neural tube is a narrow channel that folds and closes during the third and fourth weeks of pregnancy to form the brain and spinal cord. Encephalocele is a sac-like protrusion or projection of the brain and the membranes that cover it through an opening in the skull. It occurs when the neural tube does not close completely during pregnancy, resulting in an opening in the skull. Encephalocele is treated with surgery to place the protruding part of the brain and the membranes covering it back into the skull. When Nhel was born, the lump was just the size of an egg but it has swollen and grown rapidly over the last two months. His “horn” is now full of watery liquid inside the skin, which has been kept permanently wrapped in bandages to prevent bleeding or injuries. CT scans showed that the growth is benign and medics say his brain will not be affected. The baby boy is expected to make a full recovery after he has the operation. Dad Ronel, a delivery driver, said: “I hope that my baby gets better soon. I know he can do it. We will do everything we can. 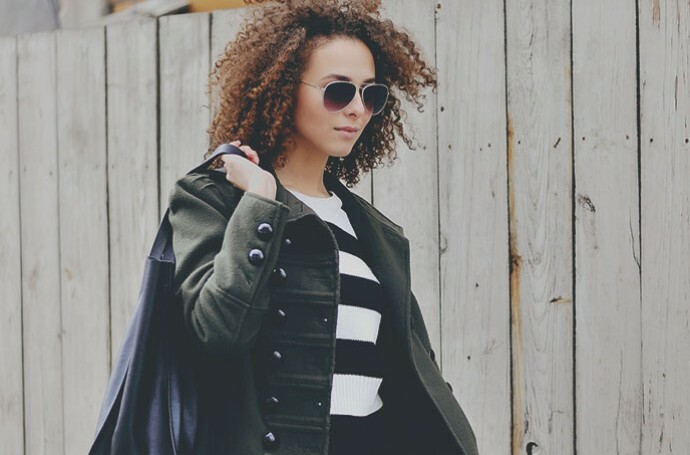 “The swelling has grown so quickly it's hard to believe. It has doubled in size in just a few weeks.